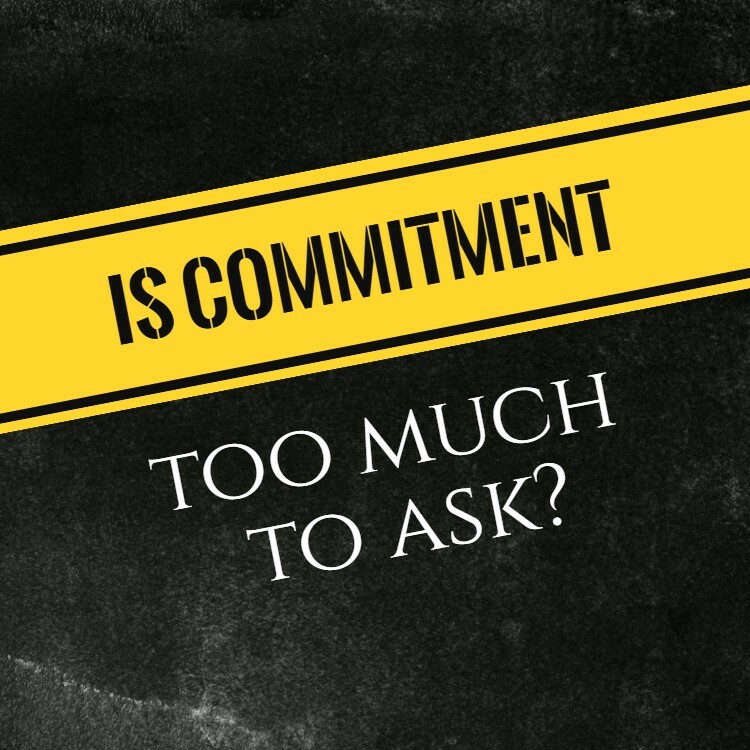 Is commitment too much to ask? When we first became Christians we made commitments. The greatest is to put God first in everything (Matthew 6:33). To have Christ live in me (Galatians 2:20). That means we decided to die to self (Luke 9:23). To live honest, moral, sober and uprightly in our daily lives (Titus 2:11–14). Abstain from all appearance of evil (1 Thessalonians 5:22). The Christian’s greatest difficulty is first and foremost within ourselves. That battle is to abhor the evil and cling to the good (Romans 12:9), which is to have such an inward revulsion to evil that it becomes innate. To develop that kind of habit and sensibility requires commitment over an extended period of time. We also face the problem of desensitization when we allow ourselves to gradually ease back into the world. Christians cannot be the light of the world if we walk in darkness. Is it too much to ask that we seek the kingdom first and put Christ first in our lives? Of course, we have necessities in this life that must be cared for and those things require our attention be placed elsewhere. But we live in such a blessed country now that necessity is rarely considered, instead it is a question of how much extra we can gain in pursuit of the “American dream.” That pursuit can easily take us away from the church and God’s purpose. Return to your place in the church (Hebrews 10:25) and your first love (Revelation 2:4). Resolve within in yourself that you will support the church so that you can strengthen others and be strengthened yourself (Phil 1:27, Acts 2:42–47). Parents often expect little of their children and then when they are adults, they are not prepared for life. God expect us to grow, to be committed and to struggle together with other faithful Christians. If you remain committed, you will be prepared when the times of trial come and the church needs you to step up. Commit to God with your whole self.